SYSTEMA IS UNLIKE ANY OTHER MARTIAL ART! Systema is Russian Martial Art and Self Defense System that teaches students how to be relaxed or find relaxation in any situation. Being relaxed allows one to see the world more accurately and when we see the world more accurately we will see numerous options and possibilities to achieve our goals. Stress and tension narrow our vision, thereby limiting the options we perceive. Systema is a unique martial art as it focuses on this very aspect of self-awareness. The training will often challenge the student physically and/or emotionally but provide the tools to find relaxation and remove stress. Systema is a comprehensive system of study that includes a martial art, self-defense training, fitness system, and health/healing system. On a basic level, the goal of Systema is to grow and heal through understanding and experience. The training is difficult as much of it causes the student to look inside and consider one’s fears, ego, limitations, motivations and more. This type of reflection is always difficult. The training pushes each of us into uncomfortable situations. The more we learn to relax, breathe and trust ourselves the easier it is for the student and the more profound the result. Even a small person has great physical power when they know how to apply it properly. Learn more about the training on the ‘training’ page on this site. The style of Systema taught is Ryabko Systema, created by Mikhail Ryabko in Russia and taught by Vladimir Vasiliev in North America. Learn more about each of these top masters below. One of Mikhail Ryabko’s words to the beginners is “Be a good person and everything else will come to you.” In a simple, yet comprehensive way The System helps you choose and follow the right path. Mikhail Ryabko was trained from the age of five by one of Stalin’s personal bodyguards and was inducted into Spetsnaz at the age of fifteen. He has been a tactical commander of hostage-rescue teams, counter-terrorist operations, and armed criminal neutralization. Mikhail resides in Moscow, holds the rank of Colonel and serves as a Special Advisor to the Minister of Justice of the Russian Federation. 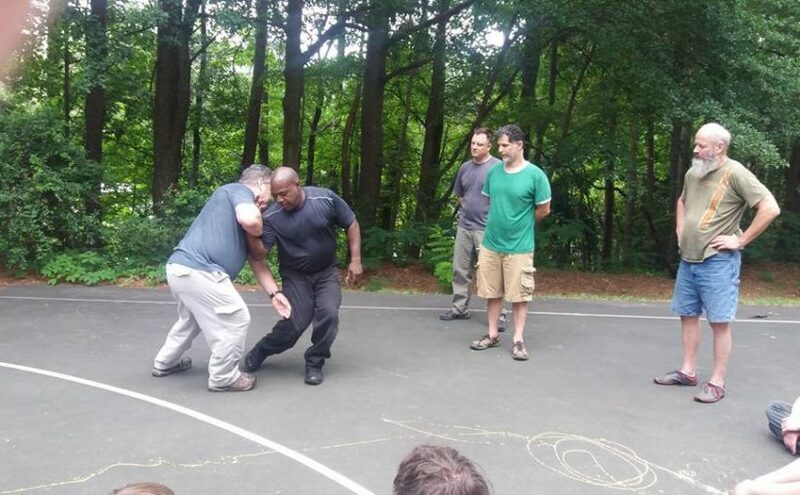 He continues to train his many students as the Master Teacher of Systema. He has authored a textbook on Tactics of Special Operations. He has been in numerous military campaigns and holds many government medals and awards. To visit Mikhail’s website in Russian, go to http://www.systemaryabko.ru You can find the English version button in the upper right-hand corner of the site. Born in Russia, Vladimir received intense training from the top Special Operations Units instructors and is the top student of Mikhail Ryabko. Vladimir’s work spans 10 years of extensive service with the Special Operations Unit. He also served as a trainer for elite units, SWAT teams, and bodyguards. Vladimir moved to Canada, and in 1993 founded the first school of Russian Martial Art outside Russia – Systema Headquarters. He has since personally trained and certified well over 100 qualified Russian Martial Art instructors and schools worldwide and has provided an Award-Winning instructional film collection.